The 13th Annual Water Valley Celtic Festival tickets are on sale now! Over 200 performers will be on stage in 10 different venues at the festival Saturday, June 25th. We are pleased to offer special discounts and incentives to all guests who purchase tickets before June 4th. Tickets are $20.00 from the website or $25.00 at the door. Tickets at the door are cash only. If you have purchased tickets online please bring your receipt from PayPal and and line up in the pre-sales lineup to get your wrist bands. The Water Valley Traditional Celtic Folk Festival is a one day event that features talent of all levels involving music, dance and stories performed by individuals and groups covering the range from amateur to professional level. The event is patterned after the festival held at Feakle, Co. Clare, Ireland. The concept of this festival is designed to promote traditional Celtic material and local talent. 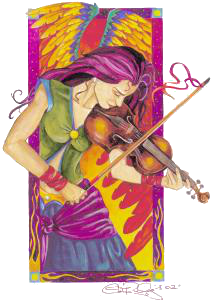 The Calgary area has many fine folk festivals that promote imported talent and contemporary folk music. This festival is not designed to compete with other events but rather to add another dimension to the folk entertainment choices . . . . including comfort!! This event is all inside or weather protected by tents. Lawn chairs may be needed for some events in the tents (please bring one or two if you have them). This year parking will be available at the fire hall just before arriving in Water Valley. Rides will be offered to guests with limited mobility to and from the festival grounds. See the Water Valley Celtic Festival website for more details.